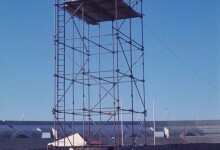 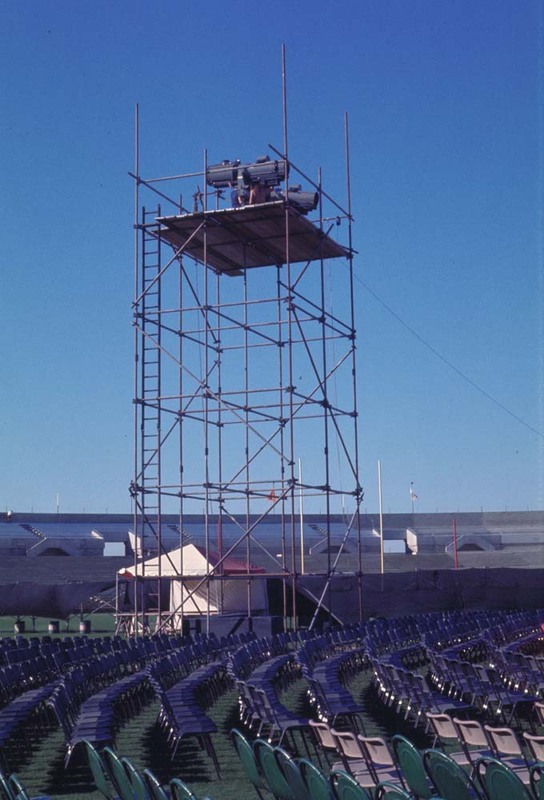 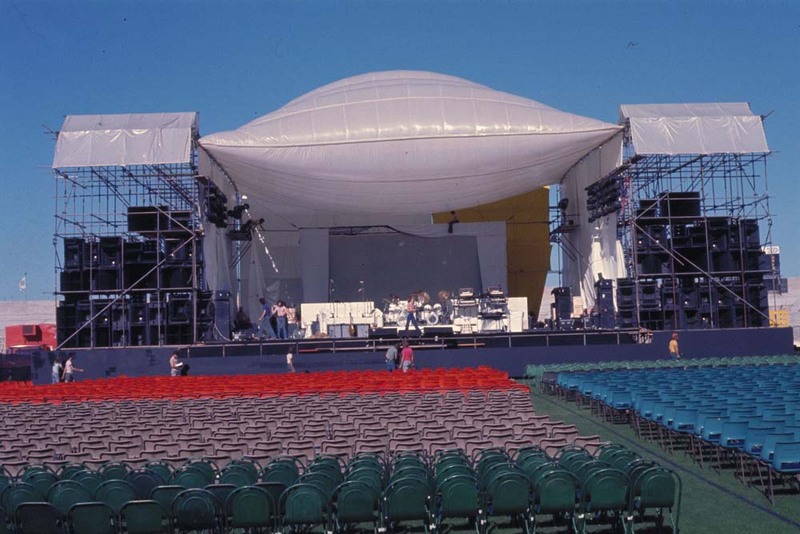 “…a big speaker bank either side of the stage and then they had another one half way up the lawn area. 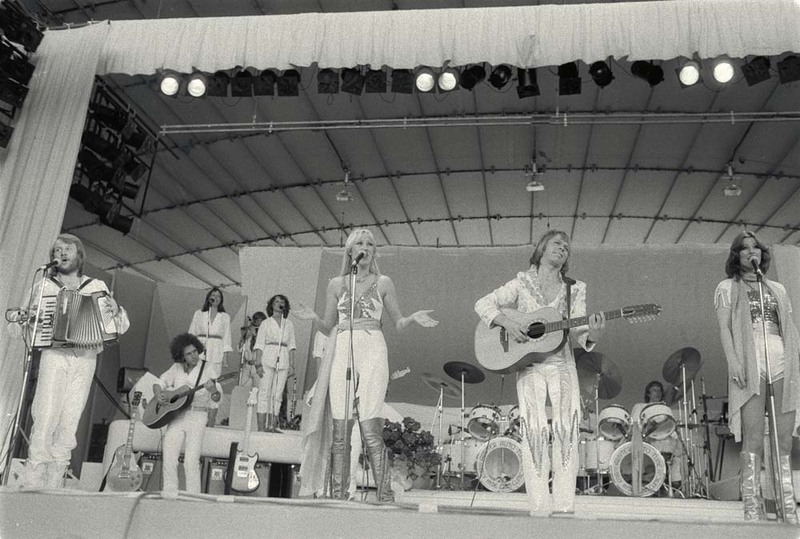 I think possibly because of the use of strings and synthesizers and just the band themselves playing and the whole lot was blended so well, it was just unbelievable, the sound was perfect. 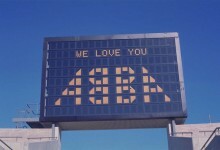 And of course you could hear every word that ABBA sang which was what the kids were there for anyway. 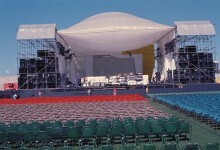 March 10, 11 & 12 Perth Entertainment Centre. 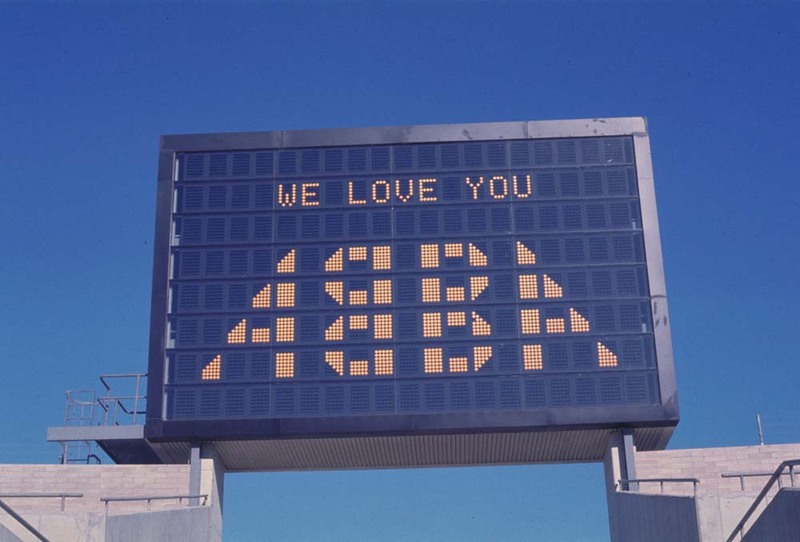 Our local Southern Cross station, 6PR was talking the other day about the one and only ABBA show at the Perth Entertainment Centre and apparently there was a bomb threat before the show !! An excerpt from an article I wrote in the 1980s about instruments ABBA hired for the concert. 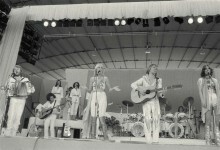 During their March 1977 Australian tour, ABBA’s entourage was 40 musicians and 60 film crew who were making ABBA – The Movie. 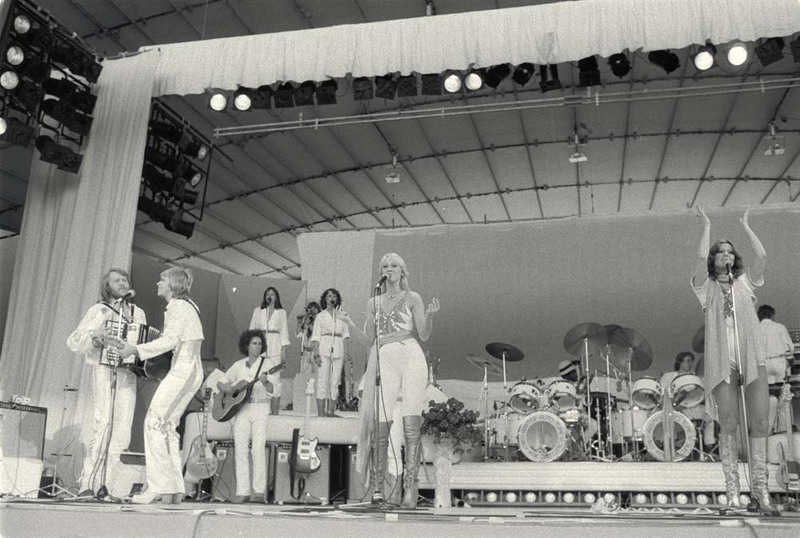 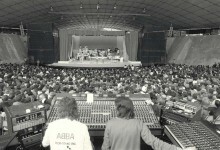 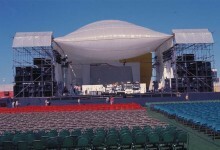 Scott Morgan of Billy Hyde Stage Systems, Sydney, said ABBA hired two Arbiter Auto-Tune drum kits for the Sydney concert. 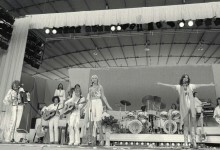 “The kit was a mid-1970s fad which died out because they weren’t sturdy enough, the hardware was faulty,” Morgan said. A special feature of the auto-tune meant the drum could be easily tuned by swivelling the drum head around. 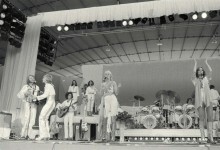 ABBA also used two mounted toms (12 x 8 and 13 x 9) and two floor toms (16 x 16 and a 18 x 16). 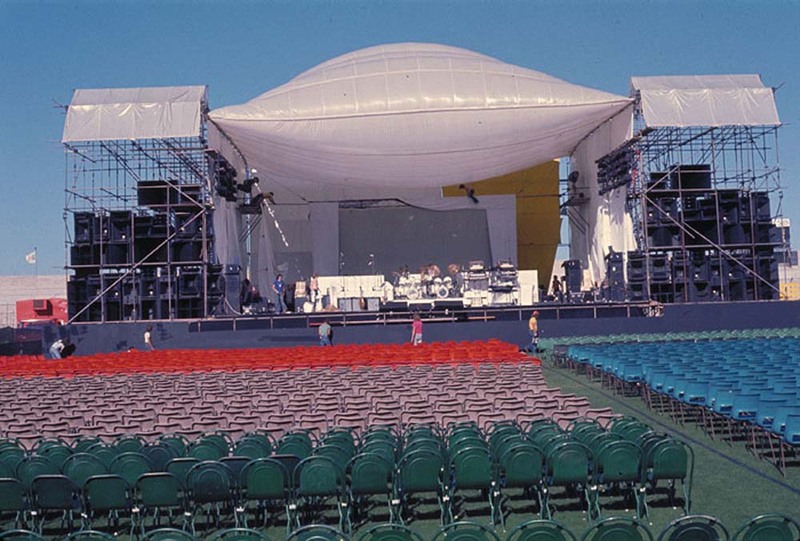 Each kit had Paiste cymbals, 16 and 18 inch crashers and a 20 inch ride. 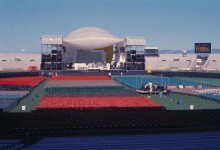 The bottom drum heads were removed and microphones placed inside. “They had a lot of percussion gear: a bell tree, two congas and Ludwig chimes,” Scott said. 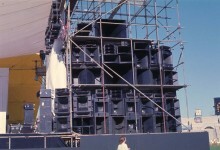 All the amps (including keyboards and bass) were by Music Man and they used Ovation classical acoustic and electric guitars, a Fender Telecaster and Stingray bass guitar. 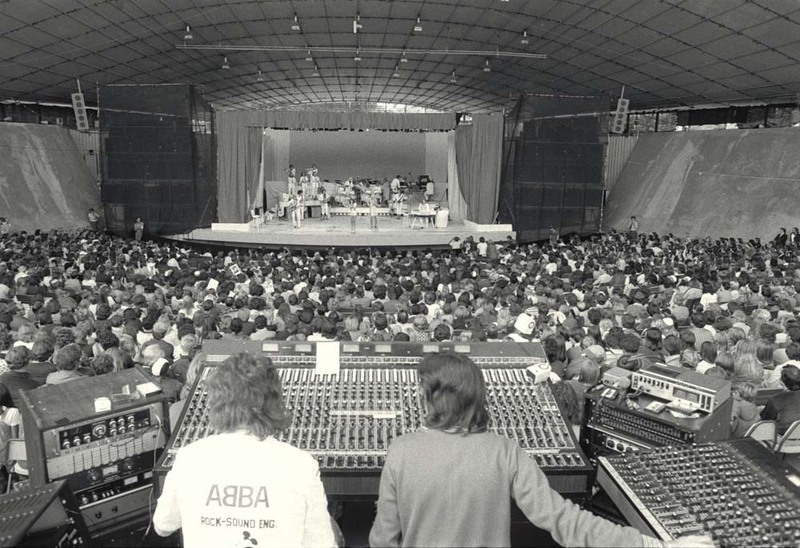 That black and white photo of the audience taken from behind the sound booth. I zoomed in and i can see me with my parents. 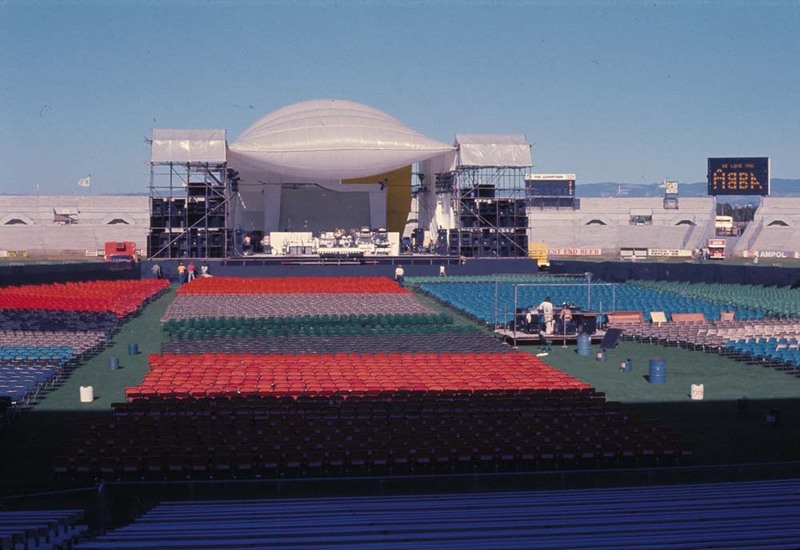 I remember that day like it was yesterday. 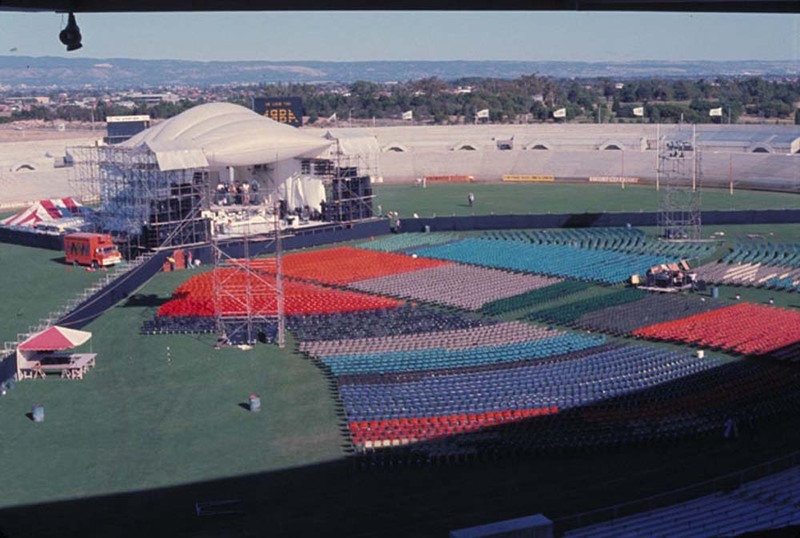 I remember where we were sitting.